Pete Crow has been a father to the fatherless, parenting in a Hungarian orphanage in Băile Tușnad, Romania for 10 years. He worked full time as a foster parent for 2 years, and then continued involvement with the orphanage via multiple yearly visits from 2011 through 2016. Starting in 2017, his corporate travel agency employer has enabled him to work his job as an account manager remotely from the orphanage in the small mountain town. The orphanage houses about 70 children, approx. 30 boys and 40 girls. Pete supports the administrative and managing directors of the facility in a volunteer role as resident director for the boys in the orphanage, living and working from the building. He co-parents the boys with 4 foster parents (each of the foster parents is assigned 6-10 boys), is the coordinator for English speaking volunteers, and works full-time for his US based company. 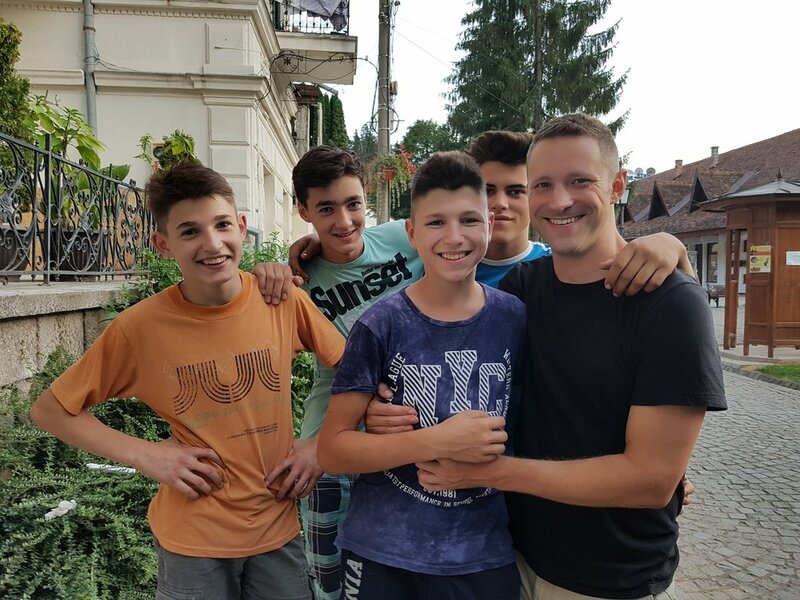 In 2008, motivated by a desire to connect with his Hungarian roots (Pete is a dual US/Hungarian citizen), he realized a dormant calling to work with orphans while researching volunteer opportunities in the region. He arrived to volunteer “short term” in 2008 and has dedicated his life to raising orphans since. Two verses which especially align with his journey are John 14:18, "I will not leave you as orphans; I will come to you" and James 1:27, "Religion that is pure and undefiled before God the Father is this: to visit orphans and widows in their affliction." Pete is 100% self-funded for personal expenses & raises support for the children through Carpathian Legacy, his US based 501c3.